The Haitian Blogger: Election Day: Vote for A Free Haiti! Election Day: Vote for A Free Haiti! 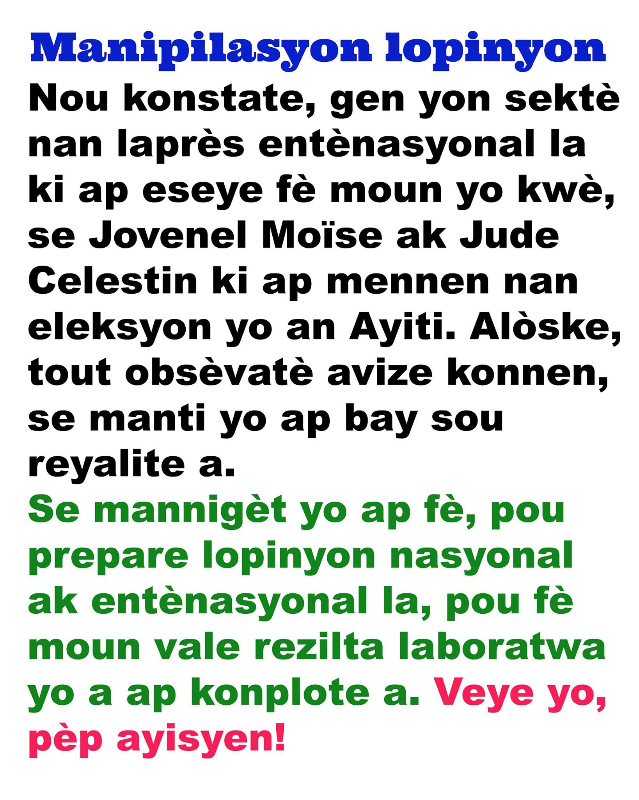 Prezidan Moise Jean Charles ak Èzili Dantò Ap Defann Nou! The shamestream international media and oligarchy-owned Haiti media are naturally predicting a Clinton-Sola-PHTK-globalist win in Haiti just as they wrongly predicted Clinton's win in the US. The Clintons and the Democrats have a lot of Haiti loot their plundering that will be lost without another Martelly replica in office to validate their Haiti earthquake and resource thievery. Their desperation after losing the White House to Trump is dangerous but won't deter the Haitian people from again rejecting the Clinton-Obama puppet candidate, Jovenel Moise. The voting has barely begun, but the propaganda being circulated by the morally repugnant one percent and their media minions is that the Clinton-Obama puppet candidate has won the Haiti elections. Since Thursday folks in Haiti and in the Diaspora have been getting phone calls and email blasts to vote for the Digicel-Clinton Foundation candidate. They've stolen our phone numbers to campaign for the legal bandits in Haiti that gave millions to the Bill and Hillary Clinton's foundation. We say no to the globalist in Haiti robbing poor Haitians blind. Haiti rejected Jovenel Moise in 2015 and does so again today regardless of the international bullying. Mwen di: Sa se blag. 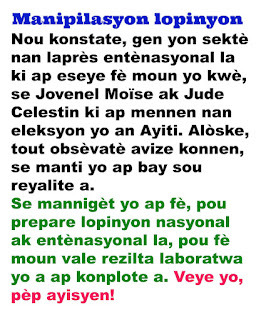 Nou pa an 2010 ankò. Se jwèt. Sa pap pase. PHTK fini. Bandi legal yo rate. Desalin leve. 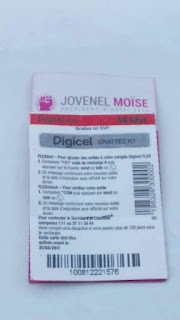 Martelly-Jovenel-Clinton-Sola deja tonbe an 2015 lè yo te eseye premye mannigèt saa. Ankinn moun pa ka leve yo. Pwe bar. Yo mèt leve kò yo frape l atè, sa yap cheche fè a pap rive. The witch is dead. Tisousou yo peye pou al vote bandi legal lan gwo problèm. Li jou, jou a rive! Kenbe fèm La sosyete, pa kite malfektè kraponnen nou. Antouka, mezanmi prekosyon pa kapon tande! Here are two messages received from Haiti today about how the Kenneth Merten-UNDP-OAS-NOAH-SOLA-PHTK-globalists crew in Haiti are attempting to doctor up Haiti's November 20th election. [...] Pour exécuter ce plan, il y a actuellement sur le terrain en Haïti un contingent de 200 agents haitiano-américains (NOAH) avec 1million 250 milles dollars américains pour acheter la Presse." Subject: Just received words from Haiti ! "B“…(A former US president) gave $1 million dollars to (Haiti staff) and (Haiti staff) to buy the elections tomorrow for Jovenel Moïse. Both guys: (Haiti staff) and (Haiti staff) are his lap-dogs for his businesses in Haiti. 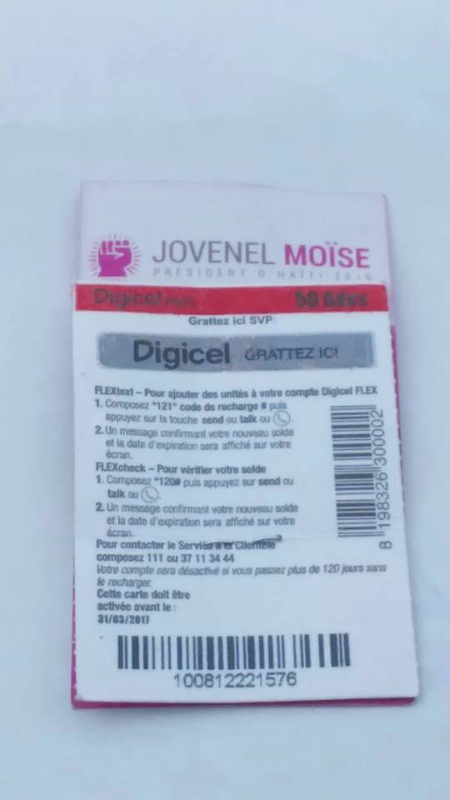 In Return, Jovenel Moïse if "selected" will cover all his assets in Haiti and protect them when President Elect Trump takes over ! The President of the CEP (Conseil Electoral Provisoire) Léopold Berlanger was put in place by Réginald Boulos and is expected to act accordingly and make sure Jovenel Moïse is selected."